Enjoy a great weekday getaway paired with extra savings! 15% off and a complimentary bottle of wine is our treat. Valid for travel Sunday - Thursday night. Cannot be combined with other offers. Blackout dates may apply. Offer is subject to availability. A romantic getaway for two in the heart of the Historic District. Make our Charleston hotel your romantic hideaway. 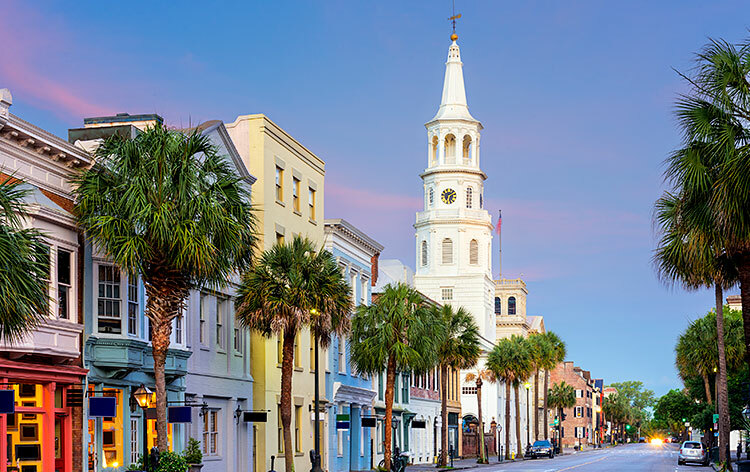 Your two-night stay includes delicious chocolates, fresh fruit and Champagne in room on arrival, a Lowcountry dinner for two at 82 Queen, next door, and a private romantic carriage tour of historic downtown Charleston. Cannot be combined with other offers. Blackout dates may apply. Offer is subject to availability. Recommended to be booked 7 days in advance for reservation at 82 Queen. Dine at one of Charleston's most sought-after restaurants. Our Gourmet Getaway package gives new meaning to vacation dining opportunities. Enjoy the best of Charleston with the charm of complimentary breakfast and evening receptions, paired with the indulgence of a bottle of champagne and $100 gift certificate to enjoy Neighborhood Dining Group. Cannot be combined with other offers. Blackout dates may apply. Offer is subject to availability. Recommended to be booked 7 days or more in advance for reservation at Husk. Stay on select dates and receive 15% off your stay. Are your travel dates flexible? Enjoy 15% off your guest room on selected Stay & Save dates highlighted here. Cannot be combined with other offers. Availability and blackout dates may apply. Offer is subject to availability.